Massimiliano is senior partner of the firm and director of its business strategy practice. He has more than 25 years of experience as a business strategy adviser, top executive and entrepreneur, and almost 10 years of experience in the Russian legal sector, with a strong grasp of Russian corporate law. 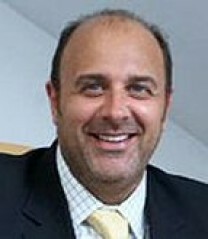 Massimiliano has been advising numerous leading companies in consumer goods, fashion and luxury, food, communications, design, and other industries, as well as multilateral institutions – like the International Finance Corporation, the World Bank, The European Commission, the EBRD, the UNDP and the Council of Europe. During the early 2000s’ he was CEO and board member in three Italian companies, and senior professional in two leading consulting companies, Ambrosetti and Nomisma. Massimiliano is an expert on Italian-Russian business relations, and he frequently contributes opinions to the media in Italy (TG1 Economia, sector publications, etc.) and in Russia (including on “Expert”, on “Voice of Russia” and “Business Investment Guide”, Moscow government’ s magazine). Massimiliano is a member of the scientific committee and lectures on business strategy at the “Master on Russian-Italian Business Relations” at the University of Bologna, Italy. He has also lectured at the Master in International Co-operation in Developing Countries, Faculty of Political Science, University of Bologna. Massimiliano has a MA with honors’ equivalent (Laurea) from the University of Bologna, Italy, and an MA in International Economics and International Law from the Johns Hopkins University’ s School of Advanced International Studies (SAIS) in Washington, D.C., USA. He also attended for one year the University of Hull, U.K., as an Erasmus student.